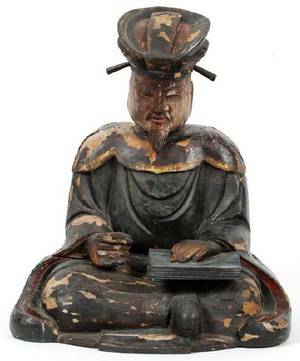 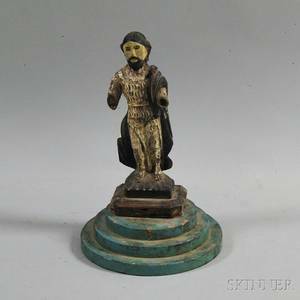 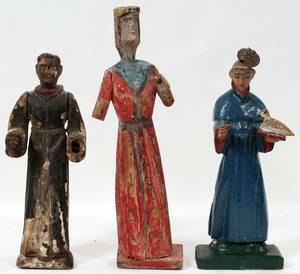 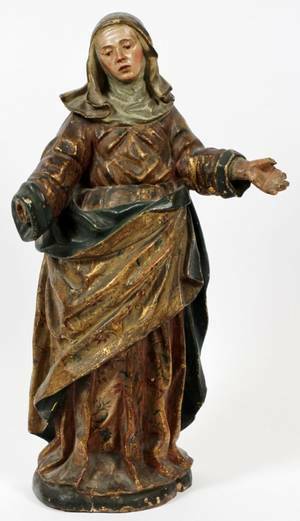 SPANISH CARVED WOOD & POLYCHROME SANTOS FIGURE, H 16 1/2", W 5 1/2":Depicted standing, with wood joined arms, polychrome decorated in blue, beige, and red pigments. 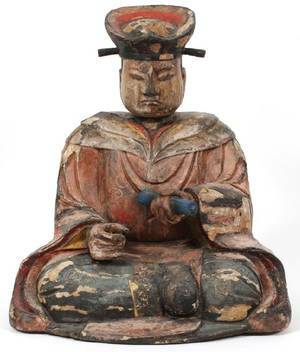 Fitted to wood stand, measuring H. 16 1/2" x 5 1/2". 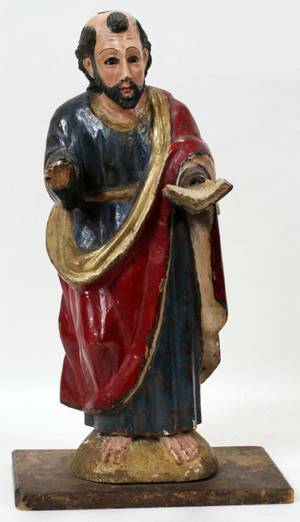 110333: CARVED WOOD POLYCHROME SANTOS, H 18 1/2"
110334: CARVED WOOD POLYCHROME SANTOS, 3, H 10"-13"
110332: CARVED WOOD POLYCHROME SANTOS, H 14"
CARVED WOOD POLYCHROME SCHOLAR FIGURE 19TH C.
Joseph rifesser (italian, b. 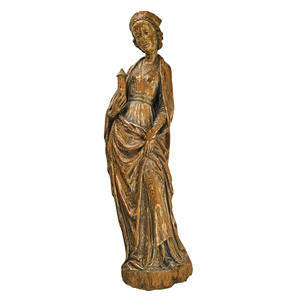 1921); carved wood polychrome painted figure of madonna, 20th c.; 38 1/2"